I have practiced pediatric dentistry for over 25 years. I started dental school not knowing that pediatric dentistry would be my one true love. Working with the children was always fun and very rewarding. Nothing warms the heart like a big smile and a huge hug from a previously fearful patient that exclaims, “that didn’t even hurt, I didn’t feel nuthin”. After receiving a nursing degree from the University of Tennessee, Martin I obtained my B.S. in Natural Science and Math from The University of Alabama, Birmingham. I graduated from Washington University School of Dental Medicine in 1986. Upon graduation from dental school I received The American Society of Dentistry for Children (ASDC) Merit Award for outstanding interest and proficiency in dentistry for children. After dental school, I was asked by the Head of the Pediatric Dental Department to join the clinical staff which I did for 2 years. Knowing at this point that pediatric dentistry was my calling, I attended The University of Kentucky for my residency and received my certificate in 1990. I am blessed to have a wonderful husband and daughter. My husband, Dan, is a cancer researcher at Leidos. My daughter, Kelsey, graduated from Virginia Tech in May of 2012. She is currently getting some medical experience and applying to medical school. I must mention my 4-legged child, Abby. She is a miniature schnauzer, Queen of the house, and dearly loved by us all. In addition to loving kids I enjoy going to the beach, sailing, reading, and knitting. 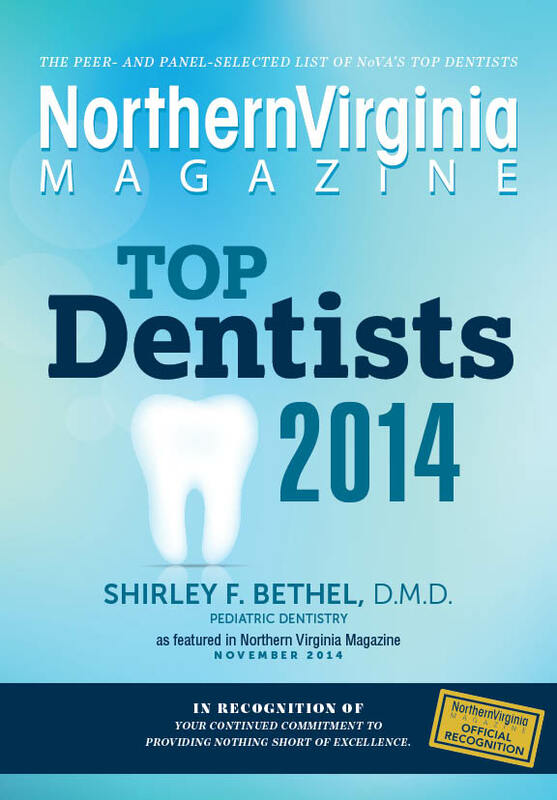 Voted one of Virginia's Top Dentists by Northern Virginia Magazine 2013-2014.